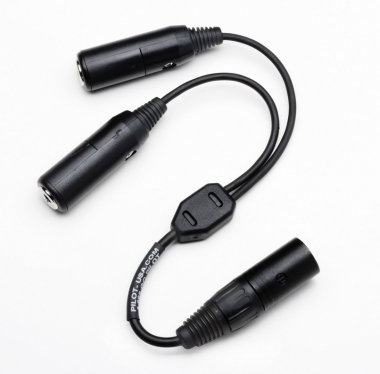 This adapter converts your general aviation style headset to the Airbus radio system. Accepts standard .25" (PJ-055) and .206" (PJ-068) plugs. Adapts to 5 PIN/DIN Airbus type male. For use in Airbus 318, 319, 320, 321, 330, 340. Cord length 9" in length.